Today's sketch is bordering on a doodle, but I rather like how the colors turned out, so it's going as a sketch. I particularly like this one because I drew it on the back of a napkin at Troy's in less than twenty minutes... not bad for a napkin sketch, eh? About the actual image itself... 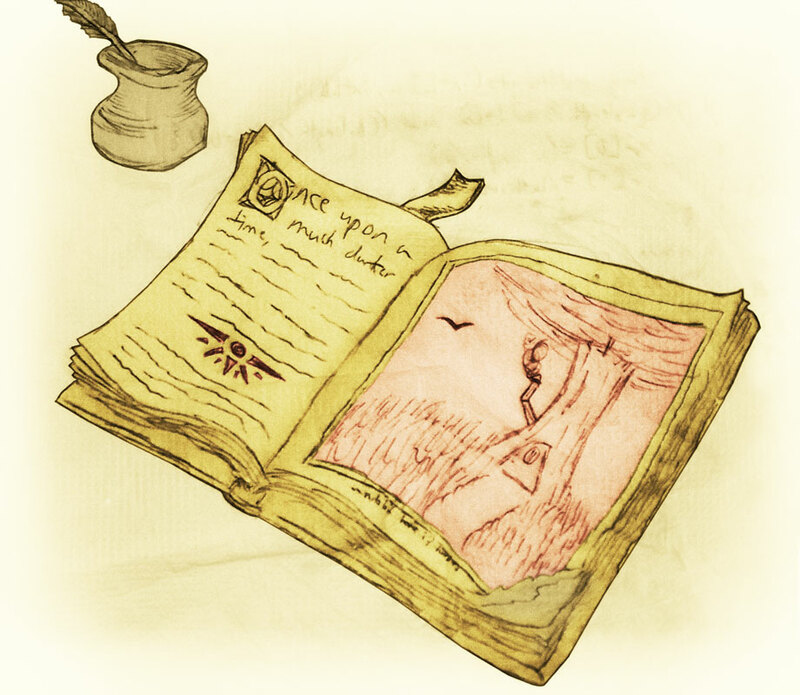 I dunno, I felt like drawing a ragged old book and that's what came out. I was hoping to really get a medieval vibe going on, which is why those first few lines are kinda cheesy. Eh. Note of interest: the lineart for today is actually completely untouched, in and of itself. All the adjustments were done via filters and masking, which is something I'm hoping to make a habit of (because filters and masks can be easily readjusted post-facto). Made with pen, napkin, Kodak Z885, and Photoshop CS3.